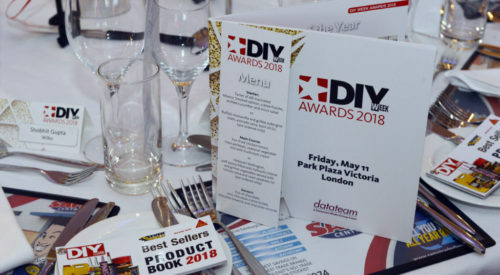 The annual DIY Week Awards will take place at the Tower Hotel, London in May 2019, and will continue its long-standing tradition of rewarding forward-thinking companies, innovative products and inspirational people within the DIY, home improvement and garden sectors during a fun-filled awards luncheon. 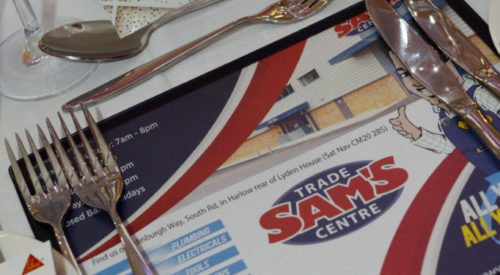 The DIY Week Awards would not exist without our sponsors. 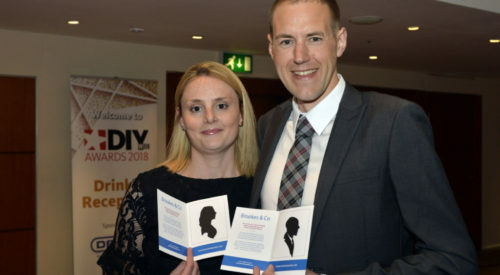 Sponsoring an award demonstrates your support for standards of excellence, best practice and innovation across the home improvement and garden sectors. It also gives you the opportunity to put your brand in front of a highly-engaged and motivated audience on the day. 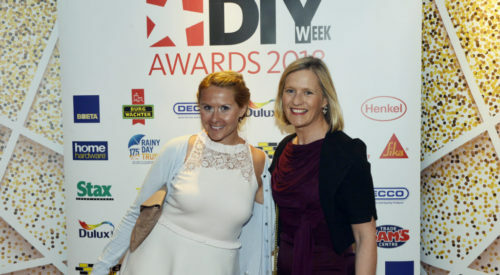 Sponsors will enjoy the benefits of a highly-targeted marketing campaign across multiple platforms, including print and online coverage in DIY Week and on diyweek.net. There will also be maximum visibility at the Awards event, reinforcing your brand to a highly relevant and captive audience, while enjoying an entertaining day with clients and employees. Who do I contact to sign up as a sponsor? Guest blog on diyweek.net. Content must be non-self-promotional. Opportunity to contribute comment to editorial follow-up pieces. Exclusive sponsorship, with your company name directly associated with an award category. Your logo will appear on all marketing collateral and on the trophy. Plus, receive a full-page thought leadership piece in an issue of your choice. All on-the-day packages include two places at the Awards luncheon (unless stated otherwise). The drinks reception before the meal is the ideal place to network and meet with old acquaintances from the industry. Your branding will appear on discs, which will be placed on champagne flutes, two roll up banners and the tables in the drinks reception area. Your logo will also be included on all of the pre-awards marketing in both print and digital. Sure to get your branding in front of our guests, the smart DL ticket pack not only carries the guest’s ticket, but also features your advert on the back and can also include up to a DL size 1 page insert. The front of the ticket pack also states that the pack is sponsored by you and carries your company logo. Please note that our category sponsor logos will feature on the ticket itself but the ticket pack will carry only your message and branding. A branded bookmark with promotional message. If taken by category sponsor, the bookmark can be placed at your sponsored category page. pre-awards build up in both print and digital. supported by the pre-awards build up in both print and digital. Sponsor a post event, networking drinks reception bar. 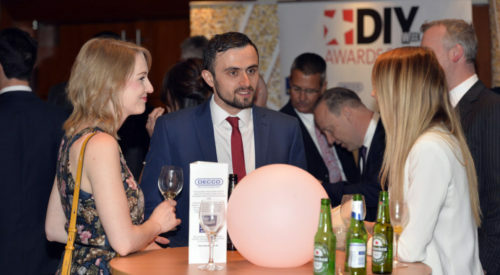 You will have two roll up banners in the drinks reception area with logos, and branded tent cards will be placed throughout the drinks reception area, in addition to enjoying all the pre-awards build up in both print and digital. All tables have complimentary bottles of red and white wine and you have the opportunity to display your logo on each bottle in the form of a collar. The bottom section can be perforated to detach and act as a business card. These pieces of print will give your brand high visibility on every table, supported by all the pre-awards build up in both print and digital. For an additional fee, this branding can also be applied to water bottles on the tables. The table centrepiece creates the wow factor that helps make the evening special and your logo can be at the centre of every table, as well as appearing in all the pre-awards build up in both print and digital. Include a product in our goody bags, distributed to all our guests. The gift doesn’t have to be a big ticket item, just a small token product that promotes your brand. Additionally, your logo will be printed on every bag. Limited to 12 sponsors only. If you can’t find what you are looking for but really want to make an impact, please contact us about tailoring ideas specifically for you and your company.